Social media can be great, no question about that. And it can drive a ton of traffic, help you find customers and overall give your business the push towards success that you so desperately need. And you read all the success stories. People keep telling you how they achieved huge success, how they got tons of traffic and how basically their business turned around through social media. Unfortunately, there are a lot of things that people don’t talk so much about. 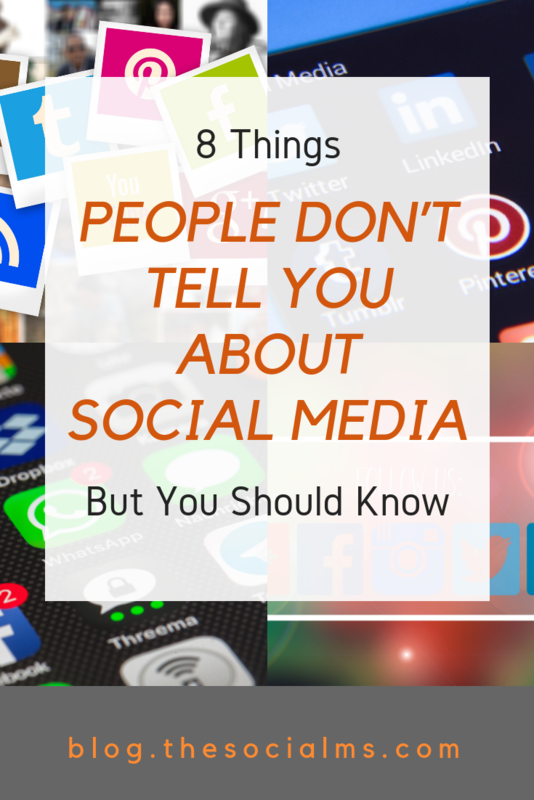 And some of these things you should be absolutely aware of when you are turning to social media to get more success. Even though some of them seem to have forgotten how it was to be just starting out, all those successful people at one point were just in the same position that you are in now: struggling to get the first followers or make the audience grow. Struggling to turn their social audience into traffic, leads, and customers. And the hard truth is: Some things these influencers and successful people do today, will not be useful to you. Simply because you are new to the game, you do not have a large following, you do not have a strong brand. Whatever you do on social media will most likely not turn viral, because your social media accounts right now do not have the power to give your content that initial push. And the hard truth is that some methods and best practices on social media simply aren’t important or effective if your account lacks followers and your content does not yet attract a large audience. Whenever someone uses a social media outlet successfully and talks about it: hundreds or thousands of others jump on the train and try to copy what brought success. But what may have worked out easily in the past may simply be harder to achieve today, because there is more competition, there are more people trying to do exactly the same thing. So whenever you try to learn from the success stories that others tell, there always is this tiny bit of doubt: Will this still be working for me and in my niche – or are already too many people competing for the same prize? You can still learn a lot from these success stories. But sometimes you will have to optimize, tweak and adjust what others have done. Blindly copying from others may simply not be enough when you are so far behind and late to the game. Building a social media presence takes time. While you may see some success in social media early on, the real power of social media does not come overnight. If you want to reap the success of social media, you will have to invest: hard work, patience, persistence, and endurance. Social media is a marathon, and trying to take a shortcut most of the time will only give you frustration, banned or locked accounts, no results – and time and money wasted. For social media holds true what also applies in many other aspects of life: You want the success, then you have to invest the time and effort. You want to get traffic from Twitter: Start a Twitter account and learn to drive traffic from Twitter. You want to get customers from Pinterest: don’t expect your images to turn viral on their own. Get active. You cannot expect social media to work wonders for you if YOU don’t do your homework. While conquering one network will often help some of your other traffic sources to pick up speed, you will rarely see the huge success in form of traffic, leads and customers come from a source that you did not actively pursue. The time when great content would automatically rise to the top is long over – if they ever existed. It is not the best content that will win, it is the best strategy to market your great content that will give you the best results. If you want to see great results from a social network: learn how to market in that channel and once you conquered that channel others will help you turn it into even bigger success. It is not enough to provide images for Pinterest, you need to pin them. Just offering share buttons or clickable tweets will not give you a significant amount of tweets. You need to build a Twitter audience and start sharing your content with them – only then will they start sharing your content, too. You copied a marketing process that someone told you step-by-step and you are still not seeing the results you were promised? Stay calm, that is just the way it is. Every situation is different even if you cannot see the difference. And you cannot expect your first iteration of your marketing process to be the best you can find. You need to tweak, optimize and adjust everything that you do, until the results satisfy you – and even then you will have to keep an eye on it and be ready to start all that tweaking again if results start dropping. Social Media is a process that is never finished. If you want to become a marketer you need to become friendly with analytics, numbers, and data. Because only data will give you an unbiased answer to the question if results are good, keep growing – or start dropping. Data can help you find flaws in your marketing strategy and help you optimize. If you want to start social media marketing, one of your first moves should be to make sure your analytics toolkit is installed. Google Analytics is only one of the many you will have to watch. If you advance in marketing some more advanced measuring and data collection tools may well find their way into your daily toolkit. 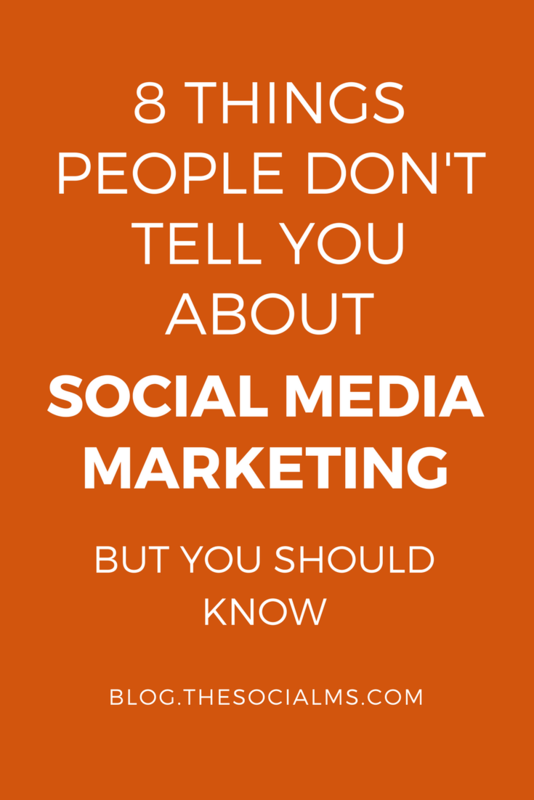 A successful social media marketer does not necessarily have to use ALL social media channels. To be more precise: If you master one social media channel, this channel has the power to give you by far better results than if you used 10 channels but did not fully understand any of them. In the long run, it makes sense to diversify just a little bit for the simple reason that you do not want to be totally dependent on just one channel that can change their rules any time. But when you are starting out, you should focus on one or two channels and make sure you get it absolutely right. One social network totally has the power to give you all the marketing success you ever dreamed off. There is absolutely no reason why you should try to learn every platform at the same time. That will only make it harder for you. Anybody who tells you he has never tried anything in social media that has not worked at all but instead utterly failed is a liar. The most common thing to happen in social media is that you set it all up like you should and then: nothing, no traffic, no leads, no sales. And then you start learning from there: is your targeting right, did you share content that your target audience is interested in, did you use the right content format, was your social media update optimized for the platform, did you reach anyone at all, and a lot more questions. Social media is an evolving process, and often the first iteration simply does not work. We all learn at least as much from failure as we learn from success. Often when we read about social media success it all sounds so easy. That is because, when someone found out how to be successful in social media and shares the success, they usually leave out all the trial and error that happened before they finally found success. But that simply paints a misleading picture: Most people have to learn, they have to take missteps, and they have to invest time and effort before everything clicks into place and starts turning into marketing magic. While you should not blindly pursue processes that don’t work, you need to keep going because success may just lurk around the corner and you are just one small step away from your own success story. There is no way around it: For online success, you need traffic! We show you the exact steps we took to grow our first business from 0 to 500k page views per month with social media and how we got 50k visitors per month from social media to this blog after 6 months. 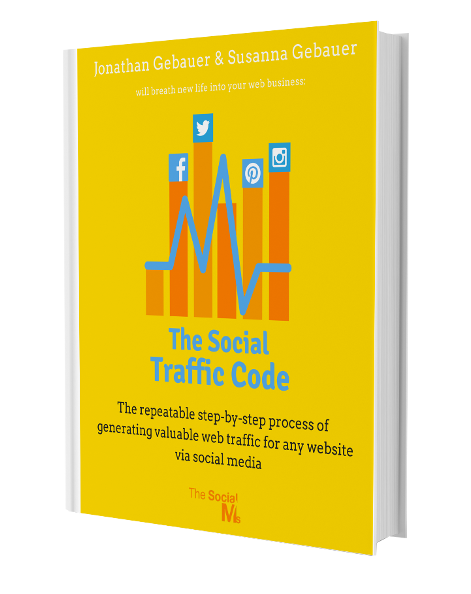 We show you the exact steps you need to take to see traffic success.